Ack, where did February go? I guess this is what happens when I try to reduce my workload but still end up ridiculously busy. The good news is that I got a lot of stuff done. The bad news is that I still didn’t manage to complete all my goals. Oh well, March is another month. I submitted a short story to an anthology I was invited to participate in! This does not confirm acceptance, but it was fun to play with some secondary characters in my world and *gasp* write in first person. Keep your fingers crossed for me! I got about one-third through the editing necessary on Steel Shadows. That’s definitely going to be my priority for March! I had a blast at Farpoint 2019! You can read all about it at my full con report. My much-needed writer’s retreat to Broadkill Resort was a ton of fun. Everyone got lots of work done, and we thoroughly enjoyed the game Bards Dispense Profanity. Finally, I had a great few days in New York City for the day job, and even got to meet my little sister’s significant other! We met at a cool bar called Oscar Wilde, and I got to pose with the man legend himself. Write 20k words for Steel Justice. This might get me within spitting distance of the ending. Attend another weekend writing retreat! This one is with a lovely group of romance writers who have accepted this speculative fiction writer as one of their own (even if they do keep trying to get me to write erotica). Finally, I’ll be in Providence, Rhode Island at the end of the month for a conference for the day job. I did do one crazy thing this month. Got my hair professionally dyed! This color scheme has been on my mind for ages, and I couldn’t be happier with the way it turned out. Will I accomplish all of my goals this month? Will I do anything else ridiculous with my hair? Will I get a tattoo? WHO KNOWS. This winter has made me a little stir crazy, and I’m anxious for spring. Okay, kids. Something isn’t working, and I’m pretty sure I know what it is. I have reached that point where I have so much to do that I’m getting overwhelmed and not doing any of it (as evidenced by the 11 books I read this month). Time to re-evaluate and change a few tactics. Because the wrap-up below isn’t pretty. I did not write 18k words in Steel Justice this month. I wrote 8k, bringing me to about 49k total. The weekend at Broadkill Writer’s retreat got cancelled due to inclement weather. I barely touched Steel Shadows, though I did review my editor’s notes and clean up any issues she found. I did some minor brainstorming on the short story I need to write, but did not write any actual words. Even my cat is disappointed with me. Write the first draft of that short story, get it critiqued, clean it up, and submit it by the February 28 deadline! Complete a full editorial pass of Steel Shadows and return it to my editor for layout. Attend Farpoint 2019, where I will conduct my alternate history presentation along with readings, signings, and panels. Attend a much-needed writer’s retreat at Broadkill Resort. Survive a trip to New York City for the day job. But wait! Where is adding more words to Steel Justice on that list? It’s not, alas. I needed to take one of the big things off my plate, and priority has to go to the two projects with solid (and much closer) deadlines. I’m looking forward to a productive March, especially since I already have another writing retreat planned in that month. I already feel a huge load lifted from my shoulders. Now, time to get to work. This month, it feels like I wrote all the words, read all the books, and went to all the conventions. Okay, it’s actually about 32k words, 15 novels, 8 short stories, 3 graphic novels, and 2 conventions. Still a hell of a month. In addition, I also found out this month that I’m perfectly capable of writing up to 3,500 words in a day, where before I’d felt like 2,000 was my maximum. So, I didn’t win NaNoWriMo…but I totally accomplished what I needed NaNoWriMo to do for me, which is more of the point. See above for NaNoWriMo details. I had a fantastic time at both World Fantasy and ChessieCon! The links for each name go to my con reports. I still have about 200 pages to go in the last Wrinkle in Time series book, An Acceptable Time. This one is not grabbing me as much as the others, alas. Now that I’ve started, I have no excuse not to write another 15k to 20k of Steel Justice! Finish An Acceptable Time and review it for Speculative Chic. Contribute to four group blog posts for Speculative Chic: my wrap-up of my 2018 resolution, a description of my 2019 resolution (more reading! ), my biggest disappointment of 2018, and my most anticipated thing of 2019! As is my new tradition since I became obsessed with LEGO, I’ll build one set between Christmas and my birthday (Dec 31). And most importantly: VACATION! The husband and I will be on a giant boat in the Caribbean for 7 days. No internet. No writing. Just lots of sun and warm and reading. And maybe a caipirinha or three. I reorganized my To Be Read shelves after all the free books I got from World Fantasy, and then Nicki-cat told me to get back to writing. Another month has flown by in a fun and bewildering blur! I’m writing this post on Halloween, and my biggest dilemma right now is figuring out what to wear while I hand out candy tonight. Oh, and write two thousand words so that I can kick off NaNoWriMo at an even 10k. Yep, you read that right. More details below. I finally finished the detailed outline for book 6, tentatively titled Steel Justice and I’m really pleased with it! This will be a fun adventure. Like I said above, I’m 8k words into the first draft already! I’m really enjoying writing from the POV of a character who has been around for a bit, but I hadn’t dipped into his head yet. I had a blast at a writers retreat on the beach with a bunch of romance writers. Not my usual crowd, but they were all lovely ladies. The second retreat was cancelled last minute, so I spent a quiet weekend at home with the husband instead. No complaints there. I started reading the final book of my Speculative Chic 2018 Resolution Project, but then I got distracted by an advanced copy of a fun fantasy novel. I’ll get back to that soon. I’m officially a crazy person. I’m participating in National Novel Writing Month for 2018, to write 50k words of Steel Justice in 30 days. Feel free to follow along and keep track of my word count at my NaNoWriMo page! Finish reading An Acceptable Time and write up the review to finish my Speculative Chic 2018 Resolution Project. I feel like that’s a short list, but: FIFTY THOUSAND WORDS IN THIRTY DAYS. I’d better start eating Halloween candy now. Seven romance writers at the beach plus one tall urban fantasy writer to take the selfie. Let me help you do crunches, Mom. Another summer month has flown by. I’m going to be honest — my production on the creative side has been crap. Even the unbuilt LEGO sets calling my name from my guest room haven’t been motivation enough to get work done. I’m not going to stop working on the Steel Empires series. But after 4 years of cranking out a book a year, I think I’m going to…not take it easy on the next one, but write with more intention. That’s going to mean fewer words a month, and more months to write the book. But my physical health also needs to starting taking a higher priority as I get older, and I’d rather build good habits now. So my monthly goals are going to look less challenging, but the hope is that those of you reading at the other end won’t actually notice a drop in production. This may or may not make sense. I’m only on my first cup of coffee for the day. Revisions to Steel Shadows are not complete, and have not been sent to my editor. The book 6 outline has not been completed, though there’s lots of fun ideas rattling around in my brain. I did attend Confluence in Pittsburgh last weekend! Being around other authors is always a great shot of creative juice. Check out my full con report. I came up with some great ideas for how to launch Steel Time in September. Now I just have to implement them. See, I told you this month was a wash. I did get lots of reading done, however, which I will never regret. Seriously: Steel Shadows revisions to my editor. So that I can build a LEGO set! And also complete a first draft of the outline to book 6 and send it out for review. That should be do-able, right? I’m not traveling this month, though I do have a bunch of things planned on the weekends. But today is Friday, so tonight I’m going to put on some music and bury myself in Steel Shadows. Wish me luck! I’m totally having that weird feeling of having accomplished so much in the past month while also doing not much of anything at all. Take a look below and let me know where you think I fall on that spectrum. I’m about 3/4 done with the beta read I’m working on, and very much looking forward to finding out how it ends. The future of the Steel Empires series is basically to continue writing more of the series. However, I’m going to be involved in a really cool project to celebrate my publishing company, and I can’t wait to start sharing the details of that. Both of my work trips to New York City and Arlington were incredibly educational and awesome. Part of what I love about my day job is that I get to work on topics that I’m passionate about. As an added bonus, I spent last weekend on the beach with some good friends. So, a month heavy with travel, but I enjoyed every moment of it. A slightly less busy travel month, and this time it’s all for the fiction writing! First up, I’ll be signing books as part of the Women Writing Mysterious Worlds event at Cupboard Maker Books on Saturday, May 5 from 1 to 3 PM. Come say hi if you’re local to the Enola, Pennsylvania, area! At the end of the month, I’ll be returning to Balticon in Baltimore’s Inner Harbor over Memorial Day weekend! I’m not sure what my full schedule is yet, but I’ll definitely be reprising my Alternate History presentation, which you should definitely come check out and see how nerdy I get. On the home front, I have some research books to review in preparation to write the as yet untitled sixth book in the Steel Empires series. And make revisions to book 6, Steel Shadows, now that I’ve gotten reviews back from most of my amazing beta readers! I also need to finish the book I’m beta reading, and complete a shorter critique for another friend. Finally, I’ll be copy-editing a book currently in production that I’ve been dying to read for literally years. I love my life. Busy as hell, but I wouldn’t have it any other way. And on the plus side, the weather is FINALLY getting warmer here in Maryland! Editing is much nicer when completed with windows open, and even sitting outside. Wow, is the first month of 2018 done already? Seems like it flew by in a whirlwind of writing and reading and LEGO. Oh wait — because that’s basically all I did this month. 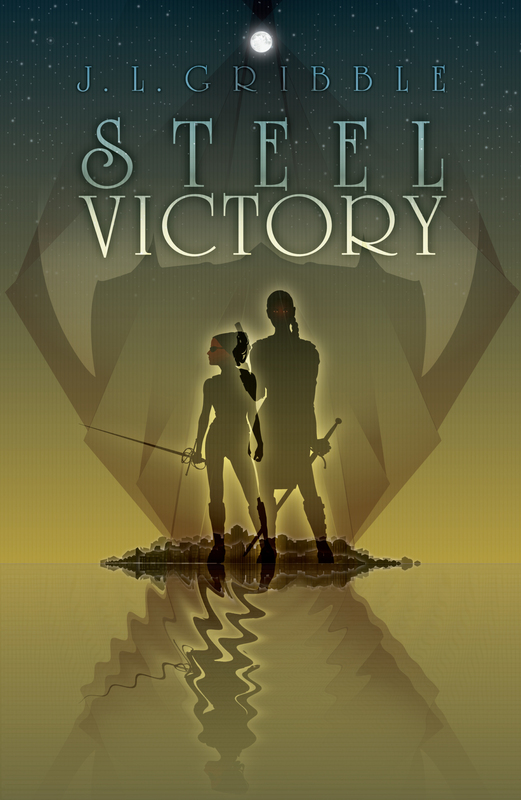 First of all, the good news: The first draft of Steel Empires #5: Steel Shadows is DONE! Final word count clocked in at 85,836 words. You have no idea how happy I am that I don’t have to stress about cutting 15k+ words like last year. 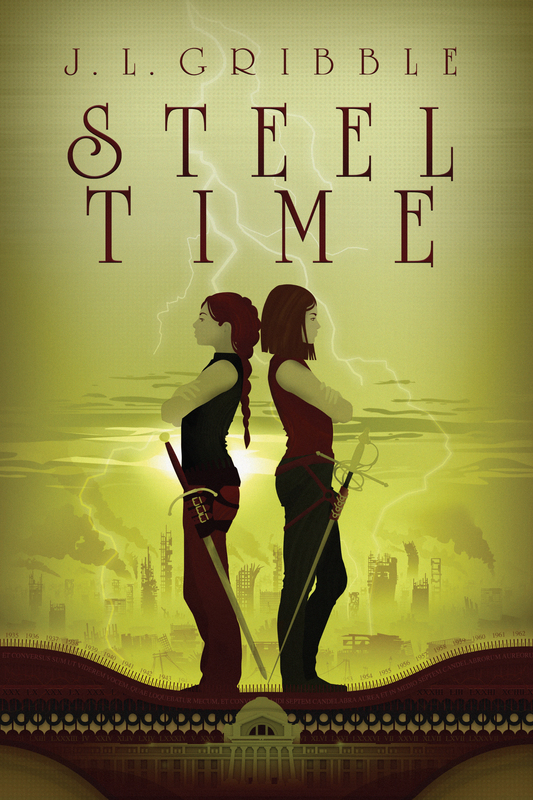 While letting that first draft simmer a bit, I also finished major edits for book 4, Steel Time, and sent them back to my publisher. In addition, I wrote up my acknowledgements and the back cover text, and the book is on its way to layout! Now it’s back to revising Steel Shadows, which I’m about 1/4 done with. I’m enjoying it, so that’s a good sign, right? In the midst of all that, I also beta read a novel for a grad school friend. IT WAS SO GOOD, YOU GUYS. When it’s a bestseller, I’ll totally get to say that I got to read it first. Finish revisions on Steel Shadows and get it out to my beta readers! I’ve added another convention to my list! The weekend of Feb. 9-11 I’ll be attending Farpoint in Hunt Valley, MD (just north of Baltimore). And at some point, I need to start thinking about the presentation I’m giving in March for the Uniontown Public Library’s 2018 Author Series. I’ll be discussing how alternate history can be used to create amazing stories! Now, time to get back to work on Steel Shadows. I have my biggest LEGO set to date to build once it’s off to the beta readers! Hard at work on their own New Year’s resolutions.